"We had a group of 16 people and two days to visit Guanajuato and San Miguel de Allende. We contacted Chris at Discovery Tours and he built a custom itinerary for us, including airport pickups, outstanding tour of Guanajuato and San Miguel, visit of Atotonilco church and perfect suggestions for lunch both days. Guanajuato City was the most important silver mining town in Mexico in the 18th Century. You can see the splendor of the wealthy families in the outstanding baroque and neoclassic architecture of the historic center. 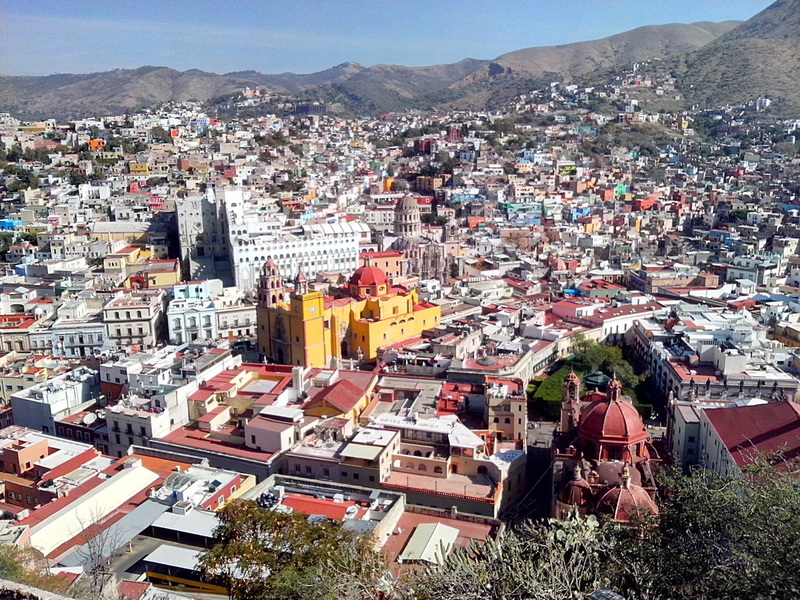 Most people have said that Guanajuato feels like Tuscany or Madrid. This is the only City in Mexico with a huge web of underground streets for cars. Guanajuato is also the birthplace of the most important muralist of Mexico, Diego Rivera, Frida Kahlo’s husband. Guanajuato has the second best theater in Mexico - the Juarez Theater. In Guanajuato you can see the largest collection of art in the world that is related to Don Quijote de la Mancha. Tuesdays and Thursdays 9:00am. You would join a small group for VIP service. Groups are limited to 10 people. This tour takes seven hours round trip. Our van picks you up at 9:00am at your home. The drive from San Miguel to Guanajuato takes one hour. We are back in San Miguel at 4:00pm. Our first stop is the lookout at Pipila that offers an amazing overview of the City, then we drive through some underground streets. In a two-hour walking tour, we visit the house of Diego Rivera, Guanajuato University, Juarez Theater and the Don Quijote de la Mancha’s Museum. We allow an hour and a half for lunch and shopping and then we head back to San Miguel. Your guide/driver is a very knowledgeable and trustworthy English speaking guide. All of our guides are experts in history, architecture, archeology and art. Transportation, English speaking tour guide, entrance fee to the Diego Rivera Museum. Tour does not include entrance fees to the other museums or lunch. Can be scheduled for any day with a flexible itinerary. Please reserve in advance. Transportation and English speaking tour guide. Tour does not include entrance fees to museums or lunch.